During the last election, Planned Parenthood and a number of their favored candidates attempted to scare voters by acting like certain prolife candidates were opposed to birth control. Some of those prolife candidates (most notably current U.S. Senators Cory Gardner and Thom Tillis) responded to these claims by announcing that they were in favor of birth control pills being available over-the-counter (OTC). It's tough to claim someone wants to ban birth control when they want to allow it to be should sold OTC. In an attempt to not get outflanked, Planned Parenthood re-attacked these candidates by claiming making birth controls pills available OTC was designed to raise the price of the pills now that Obamacare required employers to fund contraceptive coverage. According to Politico, they spent $500,000 in North Carolina and $400,000 in Colorado on television ads. They also spent money on radio ads as well. Richards made this absurd claim after previously claiming the FDA ruling which made emergency contraception (EC) available OTC was “wonderful news” since "women all over the country will soon be able to walk into a pharmacy and pick up emergency contraception off the shelves, as soon as they need it -- no barriers, no shame." Be sure to note the complete lack of need that EC be paid for by insurance back in the dark ages of 2013. 4.) that all the Republicans they attacked were opposed to insurance reimbursing women for birth control if it was purchased OTC. 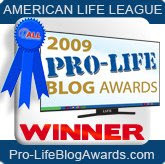 Now Planned Parenthood has come full circle according to this article in the Huffington Post. They now are completely in favor of making birth control available OTC as long as it is covered by insurance (even though Richards doesn't even mention that in her statement). Planned Parenthood Action Fund president Cecile Richards said she would applaud making the pill available over the counter. "We strongly support making birth control available over the counter, as part of our nearly 100-year history of expanding access to birth control," Richards said. "Every woman in America should have access to the birth control method that's best for her, without barriers based on cost, availability, stigma, or any other hurdle." It's clear that the hundreds of thousands of dollars Planned Parenthood spent attacking prolife candidates over their position in favor of making birth control available OTC was a cynical ploy done solely to help elect pro-choice politicians.